Most people associate Anaheim, California with Disneyland, the NAMM show (if you're in the music retail industry) or Angels baseball. But there's a lot more to the city that those undeniable attractions. 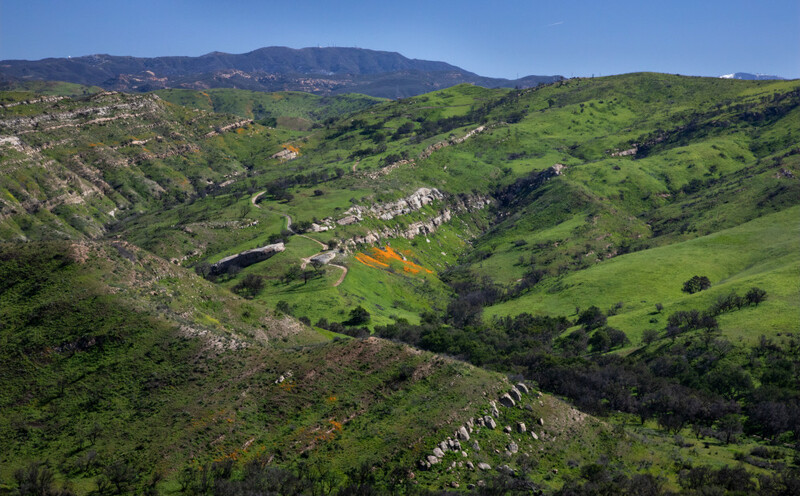 At the eastern edge of the municipality lies Anaheim Hills, which boasts a beautiful "back country" that's beloved by hikers, mountain bikers and nature enthusiasts. Just a few minutes from "civilization," you can enjoy wildflowers, greenery (after a wet spring like 2017 and 2019) and miles of paths.